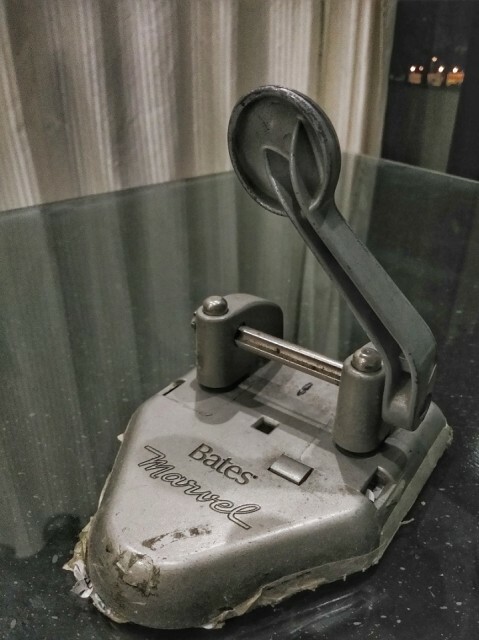 A vintage 2-hole puncher I found in the office. Lovely isn't it? !